Renowned Austrian new age multi-instrumentalist Gandalf has issued a variety of fine, internationally acclaimed albums on a steady basis since 1980. Taking his name from the good-hearted wizard in J.R.R. Tolkien’s trilogy “Lord Of the Rings”, Gandalf’s work reflects his love of nature and his commitment to preserving the environment. Over the years Gandalf has won several prominent friends to guest on his recordings (including Tracy Hitchings, Steve Hackett, Emily Burridge, Dhafer Youssef and Peter Aschenbrenner, while he himself has been favourably compared to such notable artists as William Ackermann, Rick Wakeman, Shadowfax, Enya and Mike Oldfield. Gandalf is a real painter of sonic landscapes, his music is mainly inspired by the beauty of nature and by the art and myths of various cultures. He blends a variety of acoustic instruments (guitars, sitar, saz, charango, bouzuki, piano, balaphon, bells & percussion) with spherical keyboard-sounds and weaves folky tunes into powerful symphonic arrangements. 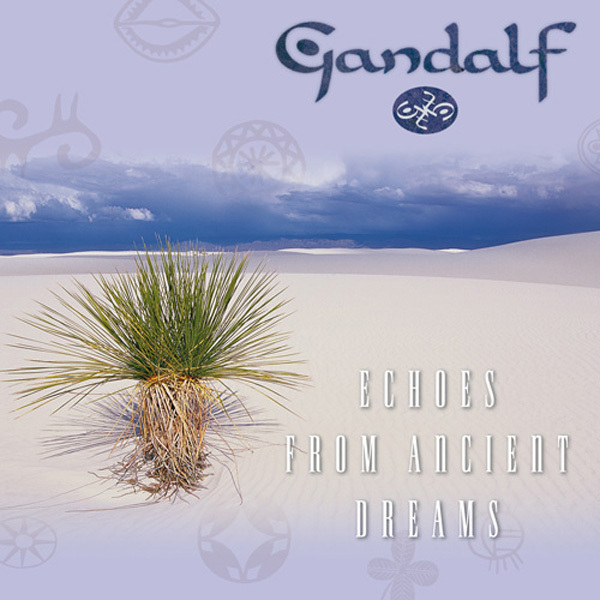 Gandalf premiered on the artist roster of Prudence in 2005 with his album “Into The Light”, followed by "Barakaya", "Samsara" and "Colours Of The Earth". Now he re-releases on Prudence one of his earlier gems: “Echoes From Ancient Dreams”, originally released in 1995, was then praised for his fine musical evocations of wide-open landscapes, it’s sensitive use of ethnic elements and imaginative play with ancient myths. In the decade since “Echoes From Ancient Dreams” has proven its timeless beauty and become a real new age classic!